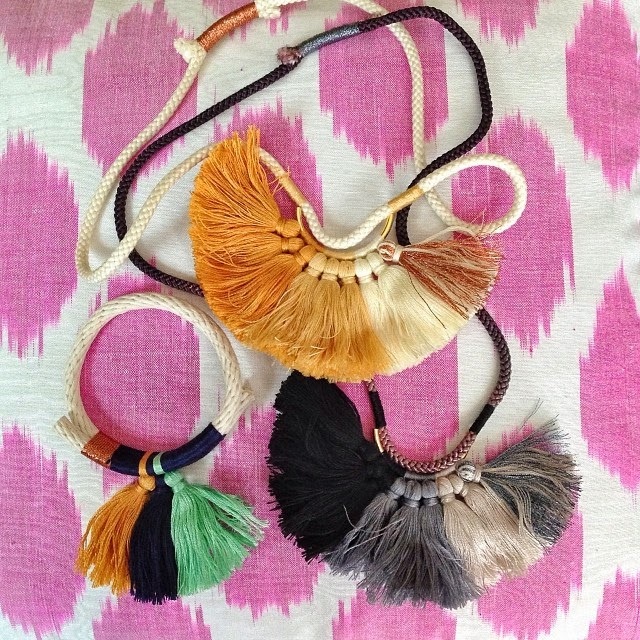 Our new delivery of (New York based designer) Krysos + Chandi tassel-y goodness has JUST arrived and ohhhh my. You're going to love it. All of it! (above, clockwise from left) The Nima Tassel Bracelet in Navy/Mint/Mustard ($49), the Nima Tassel Necklace in Creams/Copper ($139) EXCLUSIVE TO TABLE TONIC and the Nima Tassel Necklace in Greys/Pewter ($139) EXCLUSIVE TO TABLE TONIC. 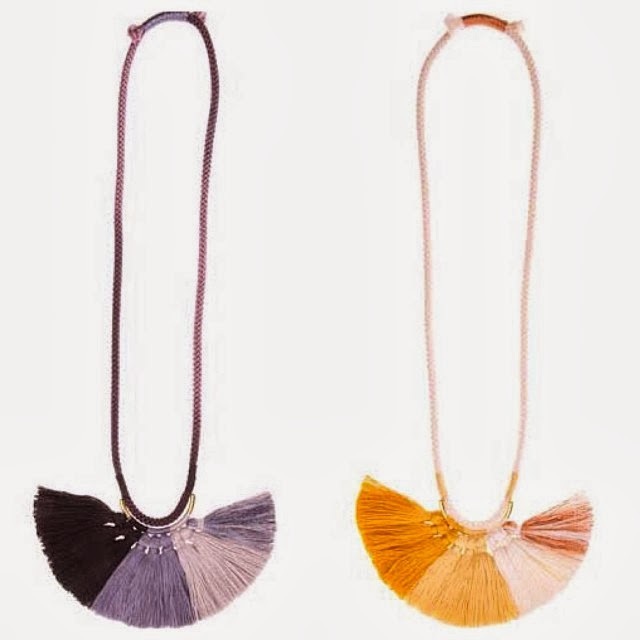 (above) The Nima Tassel Necklace in Greys/Pewter ($139) EXCLUSIVE TO TABLE TONIC and the Nima Tassel Necklace in Creams/Copper ($139) EXCLUSIVE TO TABLE TONIC. (above) The Nima Tassel Bracelet in Navy/Mint/Mustard ($49) is back in stock. See? Tassel-y happiness right there. Click to shop all Table Tonic Jewellery.